Over the years, proof coins struck at the U.S. Mint have had different finishes, such as a Roman finish, Satin finish, Matte finish, Reverse Proof finish, and even Cameo and Deep Cameo finishes. Cameo and Deep Cameo finishes are among my favorite coin appearances, especially for coins that are very difficult to find with Cameo or Deep Cameo surfaces. For example, proof coins struck in the 1930s to 1950s can be very scarce, or even rare, if they have Cameo or Deep Cameo surfaces. One great way to determine the rarity of Cameo and Deep Cameo coins is by analyzing the population statistics on PCGSCoinFacts.com. 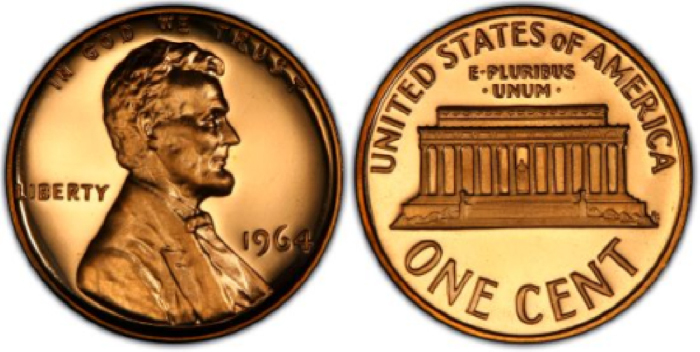 As an example, let’s look at the 1964 Proof Lincoln Cent. In Red, without Cameo or Deep Cameo, PCGS has graded a total of 3,019 examples in all grades combined. In Cameo, PCGS has graded a total of 1,002 Cameo examples in all grades combined. In Deep Cameo, PCGS has graded 944 examples in all grades combined. By analyzing the population statistics, we can conclude that the Deep Cameo examples of this date are more difficult to find than Red and Cameo examples. Keep in mind, many lower quality Proof coins from the 1960s mostly all have Red without Cameo or Deep Cameo finishes. Since non-Cameo or Deep Cameo coins are fairly common and inexpensive, many times they are not worth sending into PCGS to grade. So for very common coins in lower grades, the population statistics won’t always reflect how common the coin is in lower grade condition. However, population statistics are still a great barometer to determine rarity on most coins, especially for scarce and rare coins. 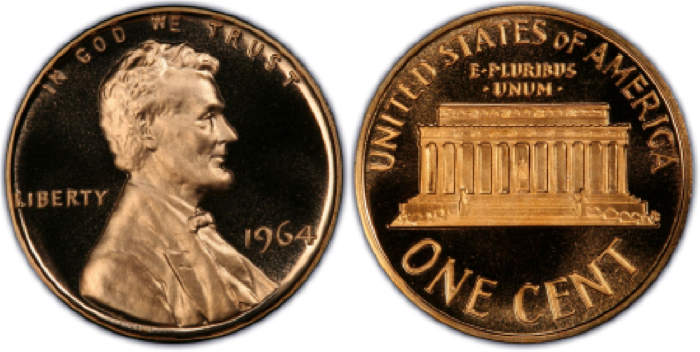 Thanks to PCGSCoinFacts.com we can determine that Deep Cameo coins for the 1964 Proof Lincoln are the scarcest from the three different Proof designations of Proof Red, Proof Cameo and Proof Deep Cameo for that year. And at the same, we can also enjoy some great, supersized images of some of the nicest examples that exist. As mentioned previously, I truly enjoy looking at coins from the 1930s to 1950s with Cameo or Deep Cameo surfaces. So thank you to everyone who has sent in their examples to PCGS to grade and to image over the years, as it is a really great treat for many collectors, like myself, to be able to admire scarce and rare Cameo and Deep Cameo coins as part of the job!